We are able to arrange a selection of luxury transportation for you and your guests when travelling through JetQuay. Contact us to make a booking or for further information. Taxis are readily available throughout Singapore and can be hailed on the street or booked in advance. We are able to arrange one for you if required. 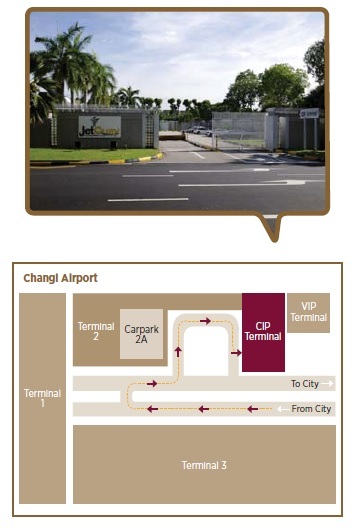 Drive towards Terminal 2 and as you approach Changi Airport you will see signs for the CIP Terminal and VIP Complex. 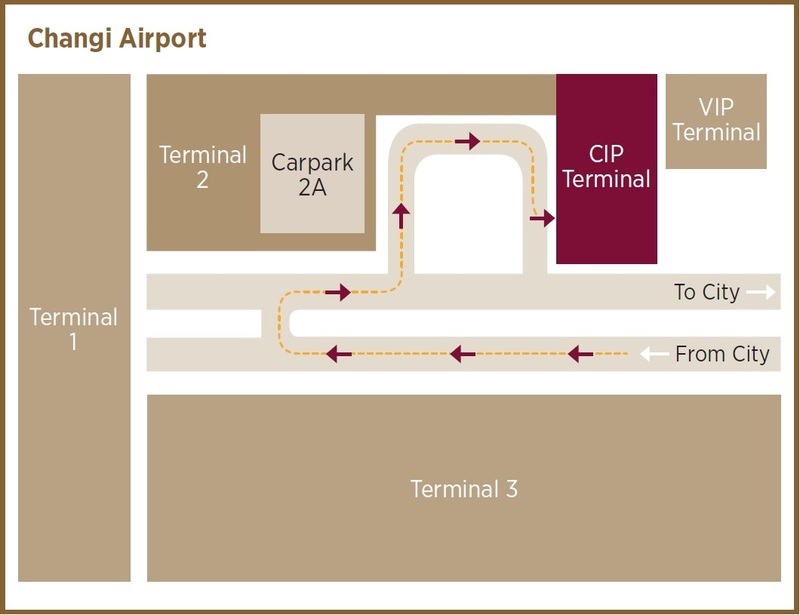 Follow the signs towards Terminal 2 and towards the CIP Terminal. Take the exit to T2 Carpark 2A and make a U-turn at the exit. Turn left towards the T2 Carpark 2A and follow the road straight ahead, you will see the JetQuay sign towards the left. Turn left into the CIP Terminal gates.